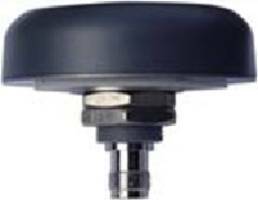 TW3892 L-Band GNSS Antennas use Accutenna® technology. Delivering multi-path signal rejection, linear phase response and tight Phase Centre Variation, TW3892 L-Band GNSS Antennas are capable of receiving GPS L1/L2, GLONASS G1/G2, BeiDou B1, Galileo E1 plus L-band correction services. Suitable for agriculture, autonomous vehicles, navigation, RTK, PPP applications, units are housed in through-hole mount and weather-proof enclosure and are available in L bracket or pipe mount installations. Tallysman, a leading manufacturer of economical high performance GNSS antennas and related products, is pleased to announce the introduction of a through hole mount dual band plus L-Band GNSS antenna: TW3892. The introduction of this antenna is a continuation of Tallysman’s expansion into broader band GNSS antennas. This antenna employs Tallysman’s acclaimed Accutenna® technology. The TW3892 is capable of receiving GPS L1/L2, GLONASS G1/G2, BeiDou B1, Galileo E1 plus L-band correction services (1213MHz to 1261MHz + 1525MHz to 1610MHz). This precisely tuned antenna has a tight pre-filter to protect against intermodulation and saturation caused by high level cellular 700MHz and other signals. The antenna provides superior multi-path signal rejection, a linear phase response, and a tight Phase Centre Variation (PCV), all at a new economical price point. This antenna provides comparable or superior performance to higher priced dual band GNSS antennas on the market. It is ideal for precision agriculture, autonomous vehicles, navigation, RTK, PPP, and other applications where precision matters. The ability of the TW3892 to access L-Band correction services extends its utility to a wider range of applications. The TW3892 is housed in a through-hole mount, weather-proof enclosure for permanent installations. For non-rooftop installations, L Bracket or Pipe Mount (part numbers 23-0040-0, 23-0065-0 respectively) are available. A 100mm ground plane is recommended for non-roof-top installations.